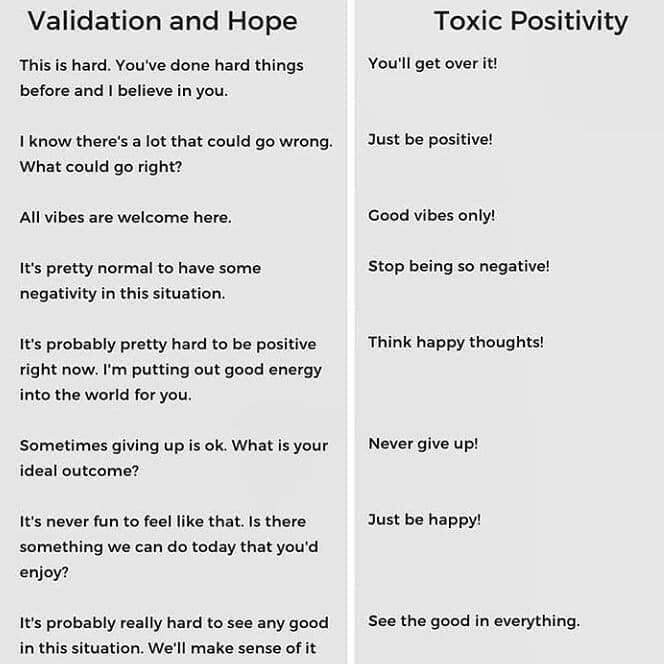 "Validation & Hope" vs. "Toxic Positivity". This is quite an interesting & useulfway to look at things. @ebel Yes, this is real. Real. 💯 this. Thank you for the phrase toxic positivity, I didn't know how to express that before.